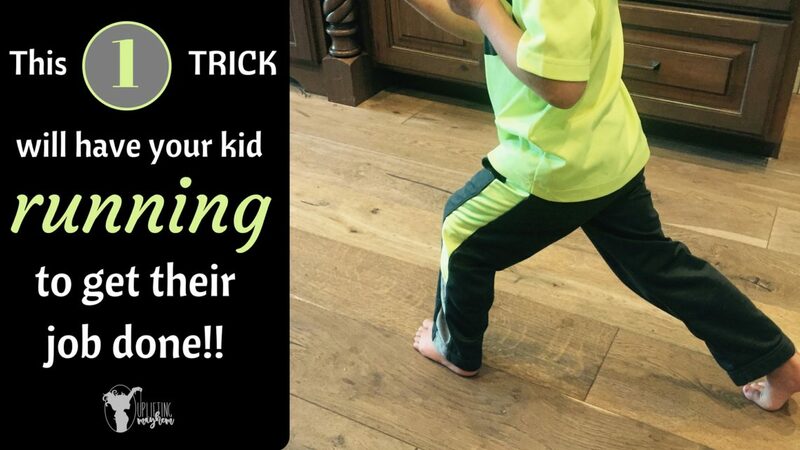 This 1 Trick will have your kid RUNNING to get their job done! 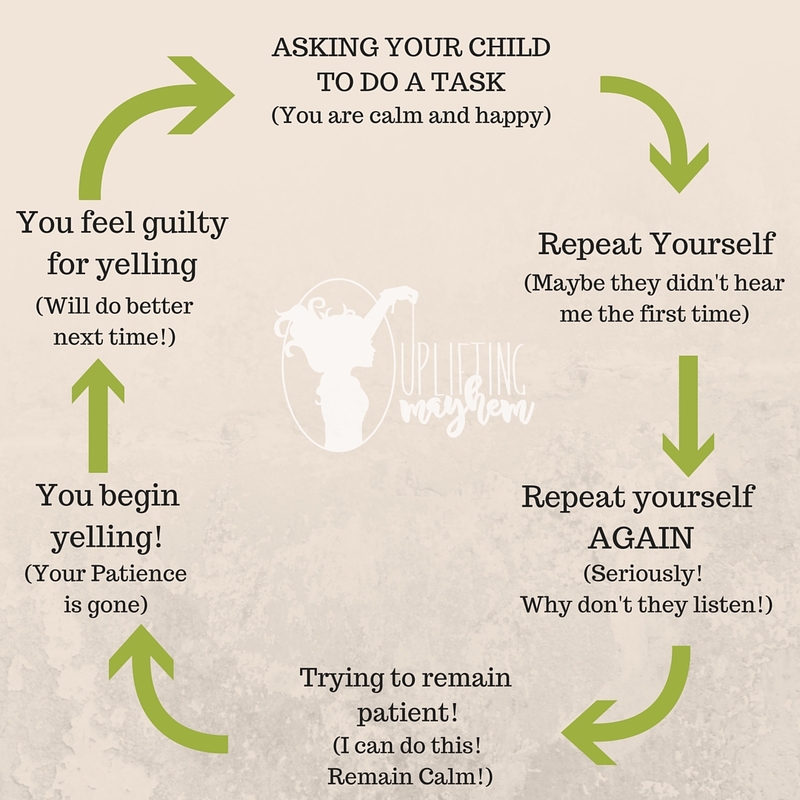 I think one of the biggest struggles as a parent is teaching your kids to listen the first time, without you having to constantly repeat yourself! This is a lifelong process and is still an ongoing topic we are continuously teaching our boys. It is a vicious cycle every time! It usually goes something like this………..
Did you relate to that at all? If not, leave me a comment on your tricks to overcome this! If you did……read on my friend! My boys are extremely competitive! I decided to use that competitiveness for something useful, and it works amazingly well! WHOEVER GETS HERE FIRST, GETS TO CHOOSE WHAT THEY DO! Now, when I announce that the dishwasher needs to be emptied, my 3 older boys come running. They each want to be the first one there, so they can choose what job they do. The silverware is the dreaded job and is always left for last. To this day this still amazes me at how well this works. I am no longer nagging, rather it has become a game of who will listen and respond first. We also do it in other areas in cleaning our home, like setting the table. Whenever there is a mess, I pick 3 tasks that need to be done. I call the boys and say “I have jobs for you……..first one here gets to choose first!” Competition is alive and well in our household! This little trick will help decrease how often you have to repeat yourself. It works so well, that our boys come running to complete the task that they choose. It gets done almost immediately. 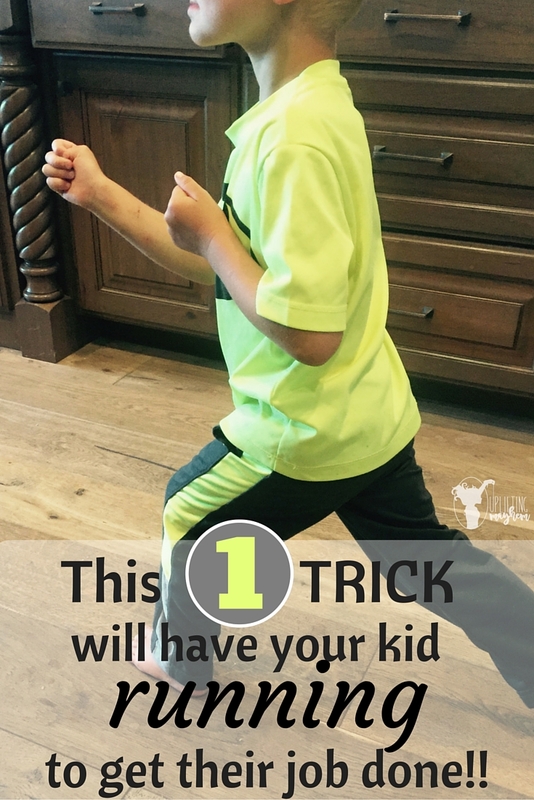 I do this with my 3 older boys and choose some easier tasks for my 2 younger boys. I hope you have as much success and fun with this trick as I have! MOM HACK: How to STOP the ITCH!